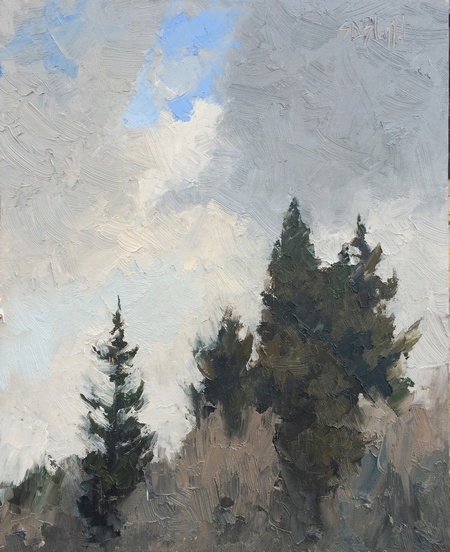 Ridgeline (plein air). 10x8, oil and cold wax on linen panel. 2016. 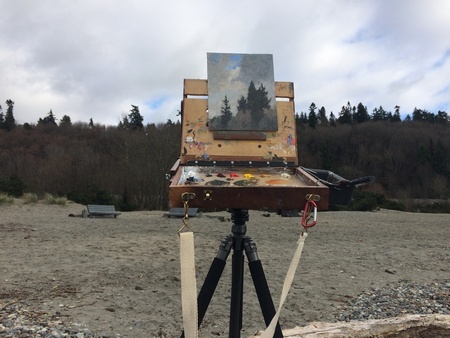 Since I moved to Seattle, I've had the chance to paint on location several times over the winter. Because the beaches are so accessible, I've painted mostly seascapes. Even though I went to the beach again today I took a different view, standing with my back to the ocean. The photo of the painting was taken so that the paint textures would be clearly visible. I signed the painting with a small stick that I found on the beach and sharpened to a dull point.